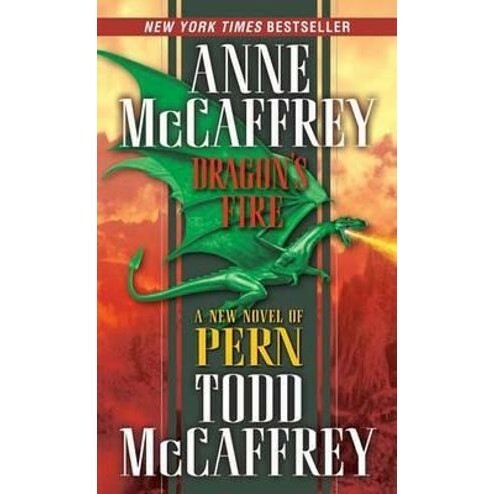 Bringing fresh wonders and dangers to light in the skies of Pern, Anne McCaffrey and her son, Todd, who demonstrated his writing talents in the bestselling novels Dragon's Kin and Dragonsblood, return with their second collaboration: a thrilling adventure of discovery and fate. Pellar is an orphan taken in by Masterharper Zist. Though born mute, Pellar is a gifted tracker, and when Zist sets off to take over as harper for Natalon's coal-mining camp, Pellar-along with his fire-lizard, Chitter-joins him on a secret mission of his own: to find out if reported thefts of coal are the work of the Shunned, criminals condemned to a life of wandering and hardship. Halla is one of the children of the Shunned. Though innocent of their parents' crimes, these children have inherited their cruel punishment. Lack of food, shelter, and clothes is their lot; hope is unknown to them. And what future would they hope for? Without a hold to call their own, there will be no protection for them when the lethal Thread inevitably falls again. Life is even tougher for Halla. Her family gone, she must fend for herself. Yet despite the brutality of her surroundings, Halla is kind and gentle, devoted to those more helpless than she. As depraved as Halla is good, Tenim is in league with Tarik, a crooked miner from Camp Natalon, who helps him steal coal in exchange for a cut of the profit. But Tenim soon realizes there is a lot more to be made from firestone, the volatile mineral that enables the dragons of Pern to burn Thread out of the sky. Tenim doesn't care what he has to do, or whom he has to kill, in order to corner the market. Cristov is Tarik's son. Dishonored by his father's greed and treachery, the boy must make amends somehow, even if it means risking his life by mining the volatile firestone, which detonates on contact with the slightest drop of moisture. When the last remaining firestone mine explodes in flames, a desperate race begins to find a new deposit of the deadly but essential mineral, for without it there can be no defense against Thread. But Tenim has a murderous plan to turn tragedy to his own advantage, and only Pellar, Halla, and Cristov can stop him-and ensure that there will be a future for all on the world of the Dragonriders.